As Land Rover introduces new models into their line up, each vehicle becomes more and more technically advanced and as a result their electronic and operating systems become more complex. It is therefore imperative that specialist garages servicing and repairing these vehicles keep up to date with the ever changing computerised diagnostic systems that are required to fully communicate with them and interrogate any particular problems. 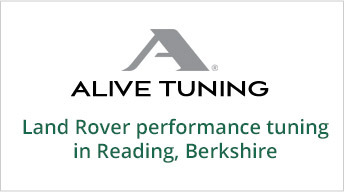 Rovertune Ltd continues to invest heavily in the full range of official Land Rover specific diagnostic systems. It has recently invested in the latest Jaguar Land Rover Vehicle Communication Interface (VCI) known as Pathfinder, which is the only diagnostic system compatible with all 2017 model year vehicles and those which will follow in subsequent years. This new system is up to 3 times faster than earlier diagnostic systems and built on completely new electrical architectures and networks. We retain the previous diagnostic system SDD (Symptom Driven Diagnostics) which is fully compatible with the complete range of vehicles up to 2016MY, including the Range Rover Evoque, L405 Range Rover, L494 New Range Rover Sport, Discovery Sport and the discontinued Defender. This system, like the new Pathfinder, will continuously update online to include the latest developments and software updates that are required for these and earlier vehicles. The SDD diagnostic system was introduced in 2010 to cope with the many additional ‘modules’ fitted to vehicles manufactured between 2010 and 2016 to deal with the ‘thousands’ of fault codes needing support. Much of this diagnostic system is pre-emptive and can identify possible faults before they occur. Constantly updated on-line, the system always remains fully up to date with all manufacturer driven modifications and vehicle software updates. Rovertune Ltd, still retains the earlier Land Rover IDS (Integrated Diagnostic system) which came into operation during 2004 so that diagnosis can be carried out on vehicles manufactured during the period 2004 through to 2010. Vehicles manufactured prior to 2004 were diagnosed using the T4 (Testbook) system which is no longer supported. Customers with vehicles manufactured prior to 2004 need not worry should diagnostics be required as we have an excellent aftermarket diagnostic system known as ‘Autologic’. Rovertune Ltd. will always remain at the forefront of diagnostic systems and will invest in each new official system as they are released, with all of its technicians being fully trained in their use. This will become very important over the next few years as Land Rover has already identified many new models that it intends to build in order to meet demand and infiltrate new markets. Rovertune Ltd is very happy to carry out vehicle diagnostics for customers wishing to ‘check a possible problem’ and identify any fault, without obligation to have the resultant work undertaken. We will discuss with you and provide a full diagnostic print out of any problem found with relevant fault codes and advise on the best form of rectification and possible costs. Land Rover can, and do from time to time, make software updates available where necessary during certain service routines to improve vehicle operation. The official Land Rover diagnostic equipment used by Rovertune Ltd. can interrogate the electrical control systems on your vehicle to confirm that they are operating correctly. Where necessary it can then update the software in all control modules to bring everything right up to date. Should you not wish us to do this to your vehicle, please let us know at the time of booking. Modern Land Rover vehicles are fitted with numerous electronic control modules, engine management sensors, driving adaptation algorithms and many other complex systems. These help to keep your vehicle in good condition, provide economy and performance management, and assist in making the whole driving experience a more pleasurable one. However, from time to time these systems can and do fail, and our diagnostic computers are then used to determine the problem, and through recommendations from Land Rover, suggest suitable solutions. There are times when a particular fault code is present, and the recommended fixes from Land Rover may be somewhat iterative (i.e. it might take a few attempts to fix the issue). For example, sometimes the recommendations from the manufacturer will suggest replacing components that are less expensive, or more likely to have failed and be the culprit, first. If that does not cure the problem, the next suggested fix in the step by step process is applied, and again the vehicle is tested to see if the fault has been resolved. Occasionally, the fault will not reappear while the vehicle is still with us, and so we ask customers to let us know if a repeat of the problem arises. We feel it is important that customers understand this, so in the unlikely event that we are unable to fix an issue on your very first visit, you can rest assured that by following the suggested processes from Land Rover, the issue will be resolved in the fastest time possible and with the lowest cost. For those times when we cannot eliminate the fault on the first visit, we genuinely appreciate customers’ patience as we get to the root of the problem. Suspension problems can be a classic example of the above process: when a suspension fault is indicated on the message centre, this could be caused by any individual, or a combination, of suspension system components, so a process of elimination is often required. Our technicians are very experienced at using Land Rovers official diagnostic systems and have been credited in the past with having rectified problems for customers who have come to Rovertune Ltd. following a Main Dealer, or other Independent Specialists, failure to resolve a particular fault. One other interesting point to note – by using Land Rover approved and recommended diagnostic systems such as Pathfinder and SDD, we are able to employ ‘big data’ to fix your vehicle faster and at a lower cost. As owners take their vehicles into service centres using these systems, faults are captured across the fleet of Land Rover vehicles worldwide, allowing recurring issues to be identified and recommended solutions adopted to avoid a repeated failure. These recommendations can change over the lifetime of the vehicle production and support, so issues that arise on Land Rovers that are five, ten or sometimes even fifteen years old can be addressed in the most appropriate and cost effective manner. Should you have any questions about our diagnostic systems and processes, we will be more than happy to advise as required.